Imagine you’re a school counselor, and you have parents sitting in your office. They say their child isn’t being challenged in school. They ask you to arrange higher level differentiation, enrichment, or subject acceleration. At home, they say, the child shows ability far above her grade level. Prior testing identified her for gifted services. You agree to investigate options, and you speak to the child’s teacher… who shows you the child’s work. It’s full of careless errors, some of it is incomplete, and the child’s grades have dropped this year. In the teacher’s opinion, the child should not try challenging work until she gets her act together. In the past, the child produced above-level work; now, she daydreams, distracts classmates, and occasionally, even corrects the teacher. The teacher agrees the child is bright, but feels the child should work harder on behavior and grade-level work. If you haven’t received training in gifted education, the teacher’s perspective might make perfect sense. If you’re familiar with the characteristics and outcomes of gifted students, the situation may ring a warning bell. You see a student who might qualify as gifted, who has likely lost motivation, and who, if the situation continues, could be considered at-risk for a negative academic outcome. You want to help, but you face a problem: now that the student is underachieving, she is no longer producing work which allows easy assessment of content mastery. You don’t know what material she already knows, and you don’t have classroom evidence showing that a higher level placement is likely to be successful. This is the catch-22 of gifted underachievers. A “catch-22” is defined as “a dilemma from which there is no escape because of mutually conflicting or dependent conditions.” The term was introduced by Joseph Heller’s World War II novel of the same title: in the book, the main character, Yossarian, desperately wants to stop flying bombardier missions. He discovers that under a fictional military policy, a bombardier can be grounded for being “crazy” – but the bombardier must first request to be grounded, and since the desire to avoid death during missions indicates sanity, the request can never be granted (Heller, 1955). Students suffering from a loss of motivation may find themselves trapped by policies which require them to excel before they can be challenged, though challenging work may be necessary to motivate them to excel. Educators bound by state testing requirements can feel equally helpless. School factors have been studied as a cause of underachievement in gifted children (Webb, 2007), in children assessed as highly to profoundly gifted (Gross, 2000), in creative-type gifted children (Betts & Niehart, 1988), and in twice-exceptional children (gifted with a disability). Insufficient challenge in the classroom can lead to problem behaviors in gifted students (Webb, 2005). Even when a child has been identified with gifted needs, our counselor is still faced with schoolwork which does not reveal the mastery needed to skip material and immediately tackle higher level content. All is not hopeless: with training and/or aid from a gifted specialist, underachieving gifted students can get help. How? 1) Look for other forms of achievement. If a child is believed to need acceleration, information other than grades may help in decisions. While students are considered better candidates for a grade skip if they are “already motivated to perform well in school,” according to the manual for the Iowa Acceleration Scale, “[t]eam members responsible for making an acceleration decision for a student must take into account not only how motivated the student is at school, but also how motivated that student is in other learning situations. Parents or guardians are good sources of information about the learning activities that their children have been involved with outside of school” (Assouline et al., 2009). A gifted child who is currently underperforming may still show higher subject level needs through an achievement test, such as the WIAT. Tests used for credit by examination can also be useful in determining readiness for full-grade or subject acceleration. Scores indicating readiness to accelerate may range from 80% to 90%, depending on state or local rules. When acceleration is not a current option, other interventions may help gifted students. Unit pre-testing and curriculum compacting can be implemented without skipping grades (Reis & Renzulli, 2005). These strategies allow a student to pursue either higher-level work or projects of interest instead of grade-level work; requiring students to complete grade-level work first is rarely successful (extra work is unlikely to motivate). Successful strategies may differ depending on a gifted student’s personality and strengths. Training or assistance from a specialist may be necessary to provide teachers with a nuanced understanding of challenges faced by gifted students, and to help implement in-classroom solutions. 3) Collect objective data; seek expert advice. To reach the best possible solutions during negotiations, the authors of the bestselling book Getting to Yes recommend using objective criteria (Fisher and Ury, 1991). Information such as testing reports and work samples in a child’s areas of strength or interest, when considered with research on gifted learners, may help facilitate next steps. If a specialist, teacher, or administrator has training in gifted education, he or she may be able to assist with problem-solving. 4) Practice listening and empathy. School challenges are frustrating for parents, educators, and the students themselves. Parents and educators may find common ground by seeking to understand the situation from other perspectives. Fisher and Ury recommend that negotiators “focus on interests, not positions.” If parents and educators can share and listen to the concerns behind others’ positions, better communication can facilitate better problem solving. 5) Learn about gifted motivation. According to A Love for Learning, a number of factors can impact motivation, including a lack of school challenge (the “turn-off effect”), learning disabilities, and physical, emotional, or social factors (Whitney & Hirsch, 2007). A child’s social or classroom environment, perfectionism and fear, asynchronous development, and rapport with his/her teacher can all impact the desire to achieve. 6) Don’t try to oversimplify. There’s a reason educators pursue graduate degrees specializing in gifted education! Like other special needs, gifted needs can be complex. A student may need a dedicated, open-minded team of educators and parents to problem-solve and find a successful solution. In some cases, parents and educators may need to dig even deeper. Creative-type gifted learners often have strong interests outside school, and these can sometimes be brought into the classroom. Underachievement is not uncommon in students evaluated as exceptionally to profoundly gifted, and acceleration is cited as reversing underachievement in this population (Gross, 2000). Undiagnosed learning or attention disorders can also cause school difficulties: a gifted child with another special need is known as twice-exceptional, or 2e (Webb et al., 2005). Further complicating matters, some typical gifted characteristics look like symptoms of other conditions, creating a possible increased risk of misdiagnosis. When evaluating a child for possible disabilities, parents may wish to seek a practitioner familiar with research on children identified as gifted (Webb et al., 2007). 7) Don’t write off public school. In some situations, especially in states without gifted education laws, parents may be forced to consider alternatives to public school. A number of states have gifted education requirements and laws permitting acceleration, however, for good reason: as with students with other special needs, gifted children can suffer harm if adjustments are not made for extreme learning differences. 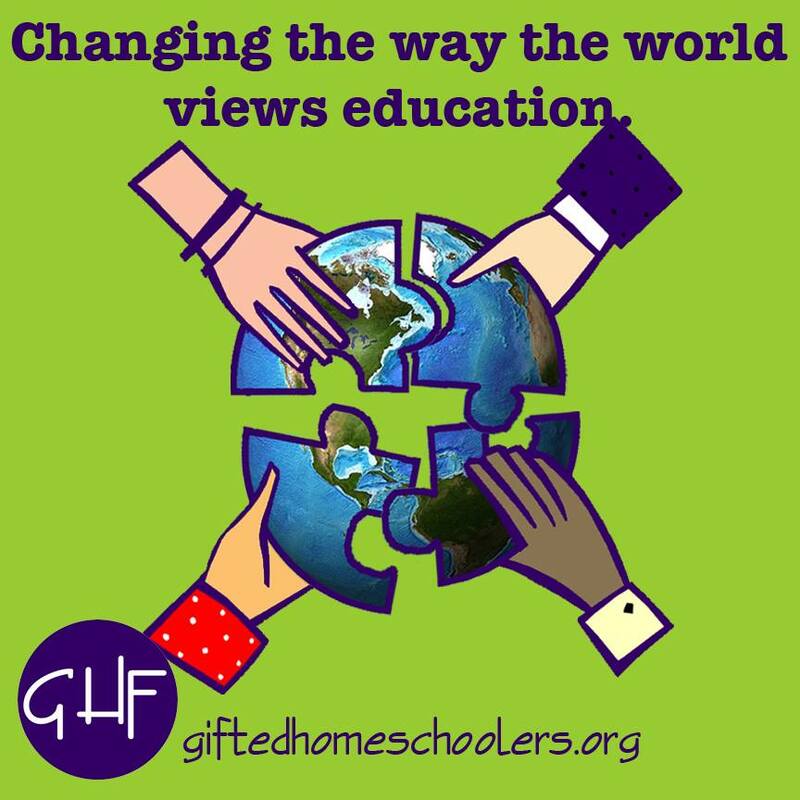 Students with gifted needs exist in all populations, and not all families of gifted children can afford other alternatives. Many public schools do work hard to meet the learning difference needs of all students. In some states, gifted children qualify for an IEP (Individualized Education Program), just as children served by Special Education. 8) Don’t give up on a student. If a single approach worked in every situation, fewer books would be published in the field! Fortunately, in addition to learning about differentiation, enrichment, and independent projects, educators can access research on twenty types of gifted interventions through A Nation Deceived and A Nation Empowered, available through the Belin-Blank Center at the University of Iowa. Contrary to myth, many gifted children will not be fine on their own (NAGC). According to the research of George Betts and Maureen Neihart, gifted students with certain problem behaviors “may be ‘at risk’ as eventual dropouts for drug addiction or delinquent behavior if appropriate interventions are not made by junior high” (Betts & Neihart, 1988). Betts and Neihart offer specific recommendations for challenging/creative and “at-risk” students. To prevent gifted dropouts, researchers have noted the importance of improving student-teacher relationships, as well as students’ attitudes toward school and teachers; one researcher found that fewer students drop out when their teacher is “flexible, positive and creative” (Renzulli & Park, 2002). Unfortunately, there is no magic motivation wand. Finding solutions may take some teamwork – but both research and personal stories show it can happen. Returning to our school counselor: if she consults the school’s gifted specialist, has attended gifted training, or investigates material provided by parents, she is less likely to miss potentially critical information. Prepared now with a more complete picture, the child’s team can explore to find causes, to make a plan, and to inspire the child. Are there strategies you’ve found successful with your students or your child? Please share your comments below! We would love to hear them. We are proud this post is part of the Other Achievement Blog Hop on Hoagies’ Gifted Education Page! Assouline, S., Colangelo, N., Lupkowski-Shoplik, A., Lipscomb, J., and Forstadt., L. The Iowa Acceleration Scale: A Guide for Whole-Grade Acceleration K-8. Manual. Scottsdale: Great Potential Press, 2009. Delisle, J. R. Parenting Gifted Kids: Tips for Raising Happy and Successful Children. Waco: Prufrock Press, 2006. Fisher, R. and Ury, W. Getting to Yes. New York: Penguin Group, 2011. Reis, S. M. and Renzulli, J. S. Curriculum Compacting: An Easy Start to Differentiating for the High-Ability Learner. Waco: Prufrock Press, 2005. Renzulli, J.S. and Park, S. Giftedness and High School Dropouts: Personal, Family, and School-related Factors. University of Connecticut. The National Research Center on the Gifted and Talented, Dec. 2002. Webb, J. T., Amend, E. R., Webb, N. E., Goerss, J., Beljan, P., & Olenchak, F. R. Misdiagnosis and Dual Diagnoses of Gifted Children and Adults. Scottsdale, AZ: Great Potential Press, Inc., 2005. Webb, J. T., Gore, J. L., Amend, E. R., and DeVries, A. R. A Parent’s Guide to Gifted Children. Scottsdale, AZ: Great Potential Press, 2007. Whitney, C.S. and Hirsch, G. A Love for Learning: Motivation and the Gifted Child. Scottsdale, AZ: Great Potential Press, 2007. Heller, Joseph. Catch-22. Laurel: New York, 1955, 1961 (p. 40). “Catch-22.” Def. The Oxford American College Dictionary. 2002. Print.